PHOENIX--(BUSINESS WIRE)--Jul. 3, 2018-- KB Home (NYSE: KBH) today announced that Rob McGibney has been promoted to regional president for its Southwest markets. In this capacity, McGibney is responsible for overseeing the builder’s local teams and operations across Arizona and Nevada, including land acquisitions, land development, home construction, customer service, purchasing, sales, and marketing. 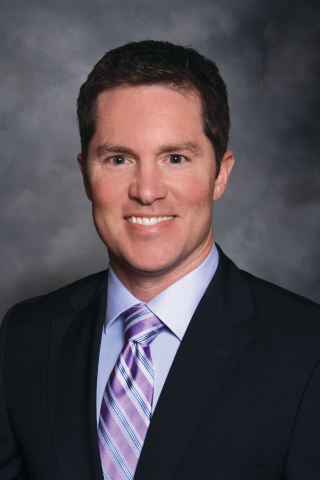 McGibney began his career at KB Home 18 years ago as a financial analyst, rising through the ranks to his appointment as Las Vegas division president in 2010 and as Arizona regional general manager in 2016. He is a current board member of the Home Builders Association of Central Arizona, and formerly served as President of the Southern Nevada Home Builders Association and the Nevada State Home Builders Association. McGibney holds a Bachelor of Science degree in Accounting from Missouri State University as well as a Nevada General Contractors License. To learn more about KB Home, visit www.kbhome.com or call 888-KB-HOMES.